When creating a cozy and welcoming environment for your holiday guests, focus on both the guest bedroom and bathroom. Whether you have a dedicated spare bathroom or just want to make a clean, spa-like space, here are our tips to start now. 1.) Wash your extra linens. Typically, less-frequently used items like back-up towels, blankets and pillowcases should be washed every month to avoid dust pile-up and musty odors. If most of your spare linens haven’t been laundered in a month, take the time before your guests arrive to do so. With multiple guests, your bathroom may need to be restocked faster than usual. 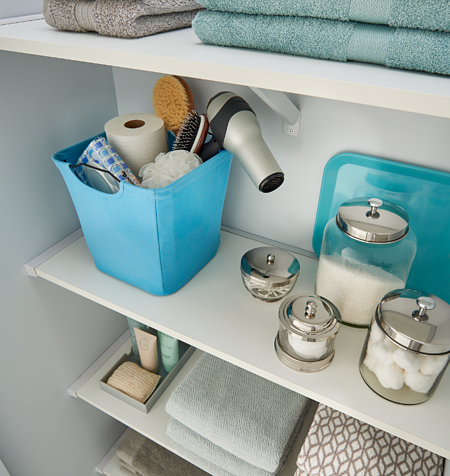 Keep extra toothbrushes, toothpastes, soaps, contact cases and solutions, toilet paper and more in easily accessible places. 3.) Make sure your storage system is easy to navigate. Organize your linen closet so your guests can easily find what they need; for instance, stack towels by size and function, and store smaller cosmetic items in labeled fabric bins or drawers. Also, don’t forget to include extra hooks in the bathroom for hanging multiple towels! The key to a relaxing and comforting bathroom is a fragrance. 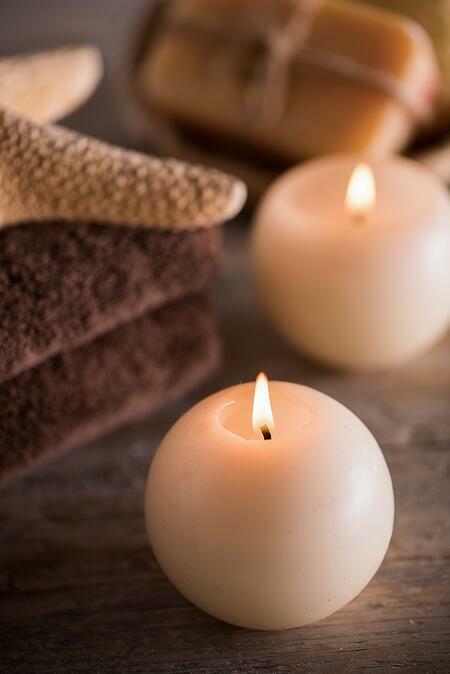 Use candles, air fresheners, diffusers or linen sprays to keep the air fresh. 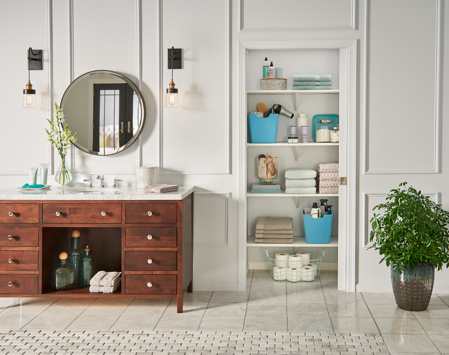 Instead of completely renovating a guest bathroom, there are many quick, budget-friendly ideas to give your space a new look. 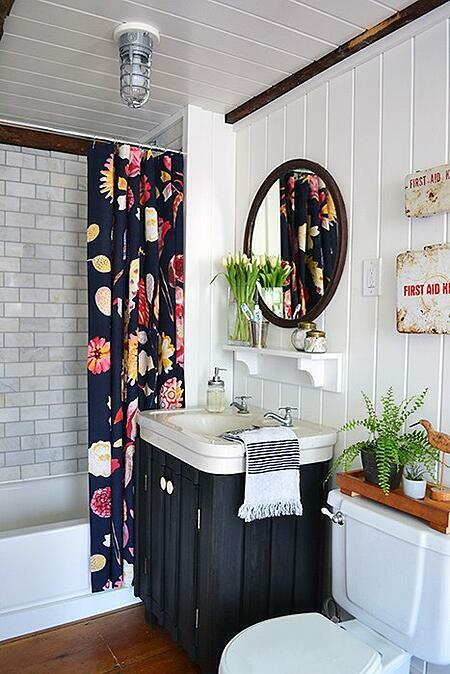 Perk things up by replacing old shower curtains, bath mats and towels or by adding a vase of seasonal flowers. We hope these tips will help you get ready for all your holiday visitors! 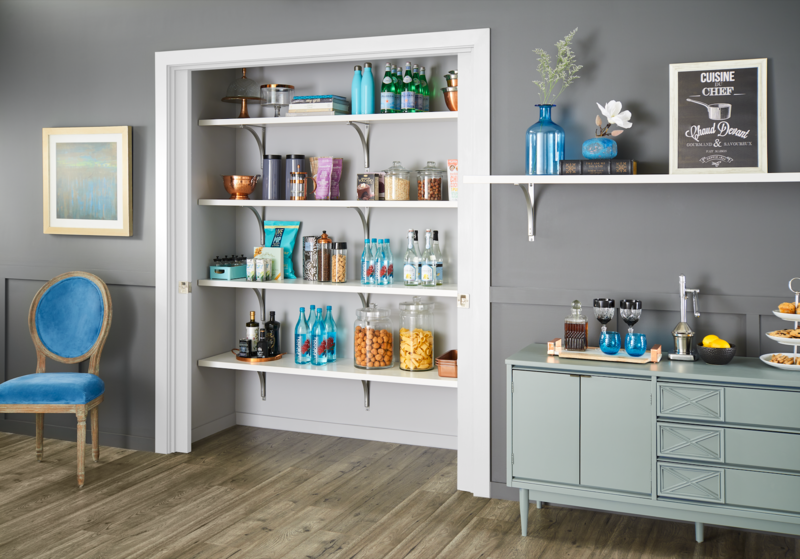 For even more organization and lifestyle tips, visit ClosetMaid.com, and check out all of our other channels: Facebook, Twitter, Instagram, Pinterest, YouTube, Houzz and Flickr. 1 Comment on "5 Tips for the Perfect Guest Bathroom"